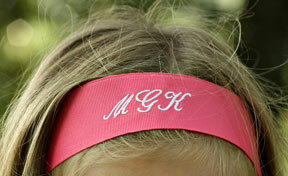 Pick your favorite color and choice of monogramming! One size fits most. Elastic in back provides style and comfort.